ABC Russian: How to form and how to use Russian pronoun СЕБЯ? How to form and how to use Russian pronoun СЕБЯ? The reflexive pronoun себя does not occur in the nominative case and does not change for gender and number. It’s a kind of English «self» in words myself, yourself, herself etc. Я купила себе много всего интересного. Не люблю разглядывать себя на фотографиях. Он смог сделать это и поэтому гордится собой. Бабушка никогда не рассказывала о себе. 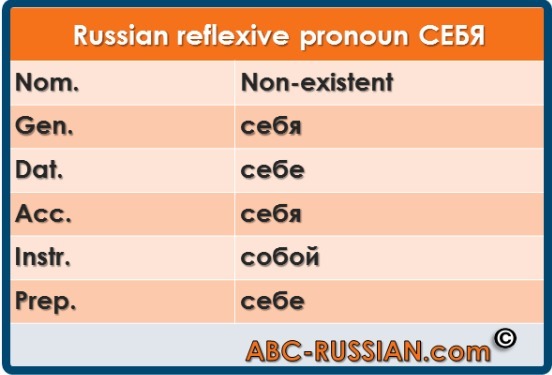 Most often, the pronoun себя refers to the subject of the sentence, but it can also refer to other parts of the sentence. 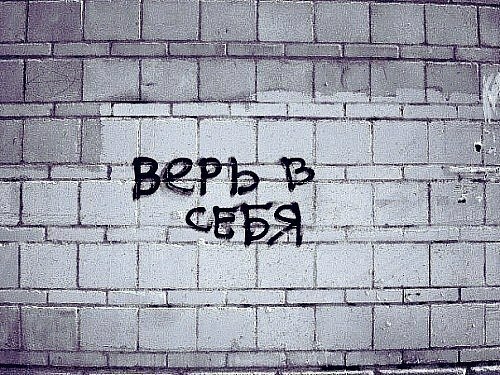 Do not confuse «себя» with «сам». This Russian pronoun may occur together with the emphatic pronoun «сам» which will agree in gender and number of the noun the reflexive pronoun refers to.